“We’re gradually trying to electrify our fleet,” says Bates’ Sustainability Manager Tom Twist, referring to the 50 or so vehicles, from “golf carts” to vans and pickups to a Ford dump truck, that keep goods and people in circulation around Bates. The latest step in that process was the acquisition of two new all-electric Nissan Leafs. Joining six street-legal battery-powered carts already on the college’s electric vehicle roster, the Leafs have supplanted conventionally powered vans used as student shuttles by the Harward Center for Community Partnerships and Student Affairs. “We knew we wanted to replace some aging vehicles in the fleet,” says Twist, who contributed his green expertise to the acquisition process led by Jay Phillips, director of operations for Facility Services. One of those aging vehicles, for example, was a van that the Harward Center used to bring students to research and volunteer commitments. What’s more significant is what the Leafs represent: the start of what’s likely to be, as EV prices come down and their capabilities expand, a substantial college commitment to the technology. Twist points out that the new Leafs have a much improved range on a battery charge than previous models. 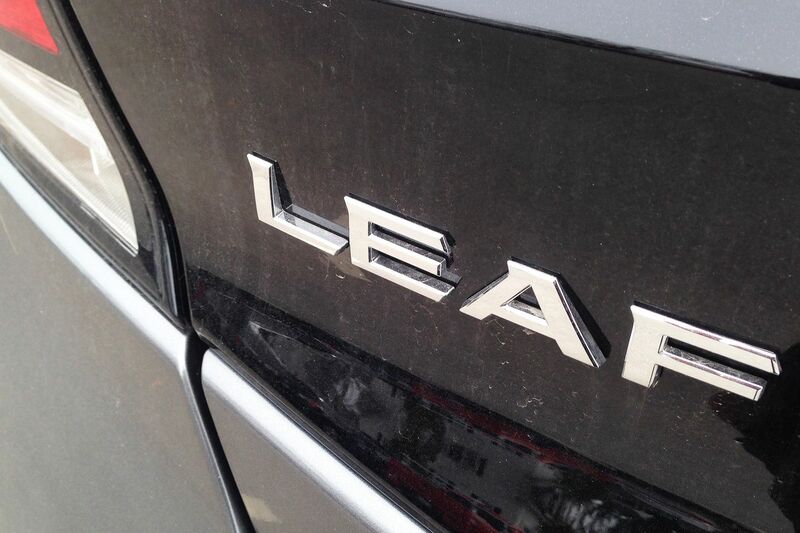 The U.S. Environmental Protection Agency estimated that the original Leaf could travel 73 miles on a fresh charge — vs. 151 miles for the 2018 Leafs that Bates now leases. For Bates’ needs, that’s ample range. Although the Leaf ranks fifth for range in the all-electric sweepstakes, behind the Chevy Bolt and Tesla’s three models, those competitors also cost more. 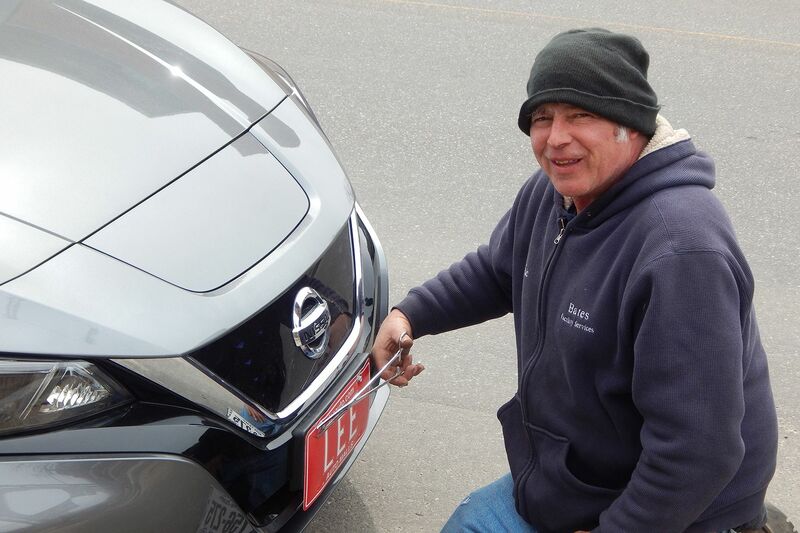 And Bates got good terms for the lease from Lee Nissan in Topsham, Maine. “And we shopped around,” Twist adds. Two first-years, Domi Frideger of Durango, Colo., and Elizabeth Eareckson of Reston, Va., helped with shopping, contacting dealerships to price different makes and models. 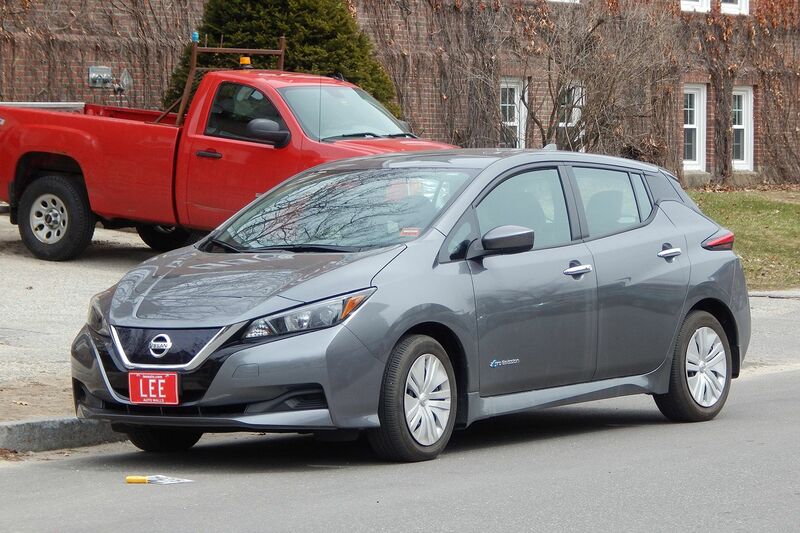 As members of the EcoReps, students who tackle a wide range of sustainability initiatives at Bates, Frideger and Eareckson’s focus is electric vehicles and the means to charge them. 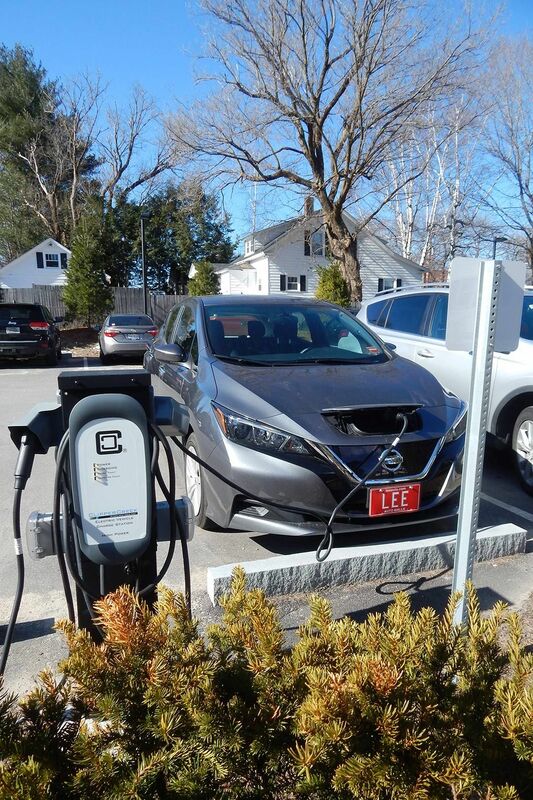 Currently Bates has four charging stations at two locations, and with demand growing due to both the Leafs and Bates folks who drive EVs, the college is exploring the idea of adding a third setup on or around Wood Street. Meanwhile, Twist, Frideger, and Eareckson are investigating ways to help EV drivers avoid scheduling conflicts at the chargers. Twist is also looking into expedient ways to charge users, so to speak, for charging their cars, so that the college isn’t giving away electricity. In terms of Bates’ progress toward sustainability, Twist describes the Leafs as “both a big step and a small step.” Quantitatively, the addition of two EVs to a 50-vehicle fleet is not a great leap toward electrification, he allows. But it’s a big step, he explains, “in that these are the first electric vehicles we’ve had that are fully roadworthy — they can take people to the Portland airport,” for instance, as opposed to the six low-speed carts that can go over public roadways but only near campus.